The Coffee and Donuts committee is responsible for those wonderful coffee and donuts receptions occurring after the 8:30 a.m. and 11:30 a.m. masses on select Sundays throughout the year. See bulletin for details. This annual event held during Fridays in Lent is a great deal and is held in our school building. Wonderful food, fun times and a great way to meet people. Eat-in or Take Out. We are a group of parishioners who volunteer their time and talent for the continued support and beautification of the St. Gabriel Parish and School Grounds. Click Here for more information. Parishioners Volunteering Time and Talents for St. Gabriel grounds. We are a group of parishioners who volunteer their time and talent for the continued support and beautification of the St. Gabriel Parish and School Grounds. We are always looking for new volunteers, please contact us if you would like to help. Boy Scouting, one of the traditional membership divisions of the BSA, is available to boys who have completed the fifth grade and are at least 10, or who are 11, but not yet 18 years old. Click Here for more information. Our vibrant scout troop provides a great experience for boys from 1st to 5th grade. Leading these young people toward a fulfilling journey of faith enrichment and learning are what being a scout is all about. Click Here for more information. St. Gabriel Girl Scouts presently have over 20 leaders and 145 girls in the program. Our leader, co-leaders and volunteers help these girls from kindergarten through high school learn about believing in themselves, develop an awareness of others and a sense of personal responsibility. Girls also participate in activities that promote good citizenship and awareness of the world. Click Here for more information. Held just after school ends in June, this 4-day event is the kick-off to summer. Rides, bands, monte carlo, and raffles are among the fun-filled events as well as the best perogies, cabbage rolls and burgers. 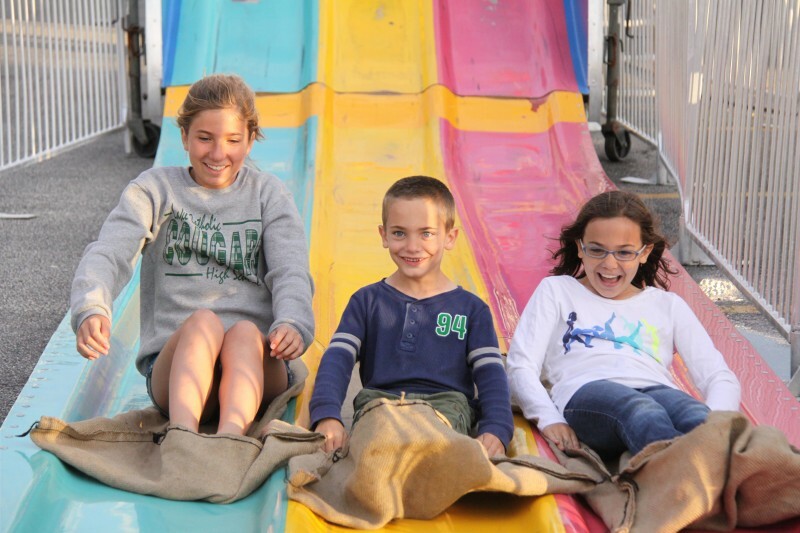 Don't miss our parish festival - it is a great time! Click Here for more information. Our Community Day of Service 2014 was a great success! Thank you to the hundreds and hundreds of people of all ages who visited nursing homes, helped at shelters, sorted clothing at outreach centers, painted, stained, cleaned, organized, cooked, served, and ministered. For a fun slideshow of our day, please click here. We are now offering cross pendants that are replicas of our St. Gabriel processional Cross. Available now for Confirmation, Easter or First Eucharist Gifts. Click Here for more information.